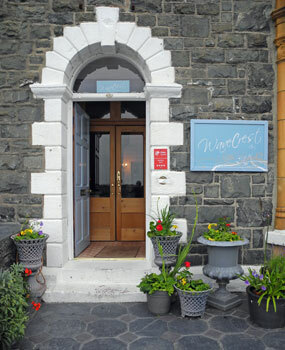 This delightful guest house is situated within metres of Barmouth's famous sandy beach. It has been run since 1980 by Eric and Shelagh Jarman, They have sympathetically renovated and refurbished the whole premises to provide modern comfort of a high standard whilst retaining it's Victorian character. 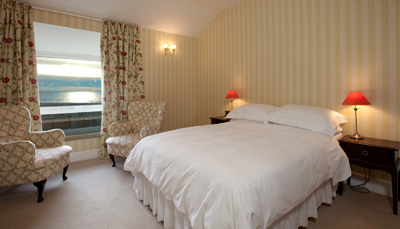 Many of the bedrooms in the Hotel enjoy superb views of Cardigan Bay and the Snowdonia mountains. A comfortable first floor seating area also overlooks the sea, as does the well lit spacious dining room found on the ground floor. It's proximity to the beach, the town-centre, rail and bus stations, (100 metres level walk away); make it an ideal location for those on foot or who wish to forget their car. Shelagh and Eric's knowledge and enthusiasm for the area where they live, is obvious from the photographs and a wide selection of historical, local interest and walking books which are made available for their guests use. They are also very happy to send you, by foot or by car, to places not found in the guide books. What has been achieved at Wavecrest is the provision of all that is best about a traditional British Holiday:- attentive, unobtrusive service; large, comfortable, well equipped en-suite bedrooms; good food; value for money and a relaxed atmosphere in which to enjoy your stay. At breakfast you have a choice of fresh & preserved fruit and local home-made jams and marmalade. Your cooked breakfast will be cooked fresh to order and will include Organic produce. Large, comfortable, well equipped bedrooms with quality linen and bedding-predominately cotton and down. All bedrooms have clock-radio alarms; hair dryers, ample tea & coffee and the benefit of Digital Freeview Television & Radio reception. All guests benefit by the provision of sea-view ground and 1st. floor lounge seating areas with plenty of reading material.